General view of the site where a massive blaze triggered by a leaky pipeline killed 79 people in Tlahuelilpan, Hidalgo state, Mexico. 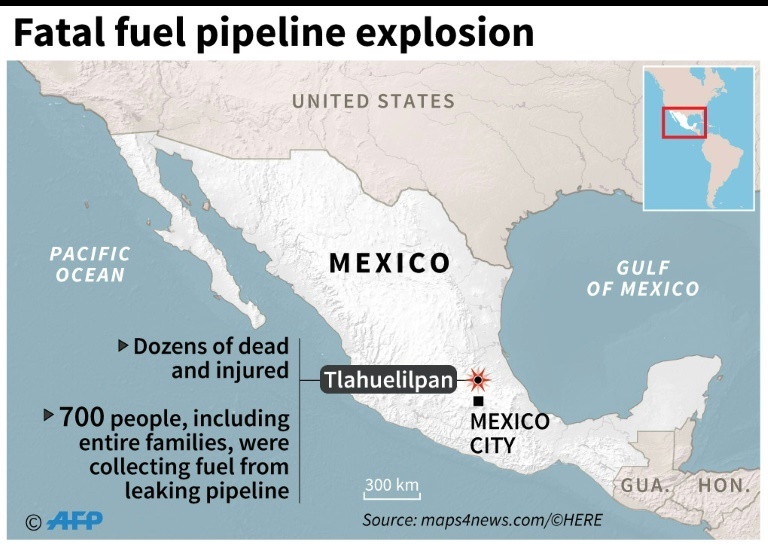 The death toll from a fiery explosion in central Mexico rose to 79 on Sunday as authorities vowed to hold accountable those responsible for a fuel-line leak that drew hundreds of people looking to gather gasoline. 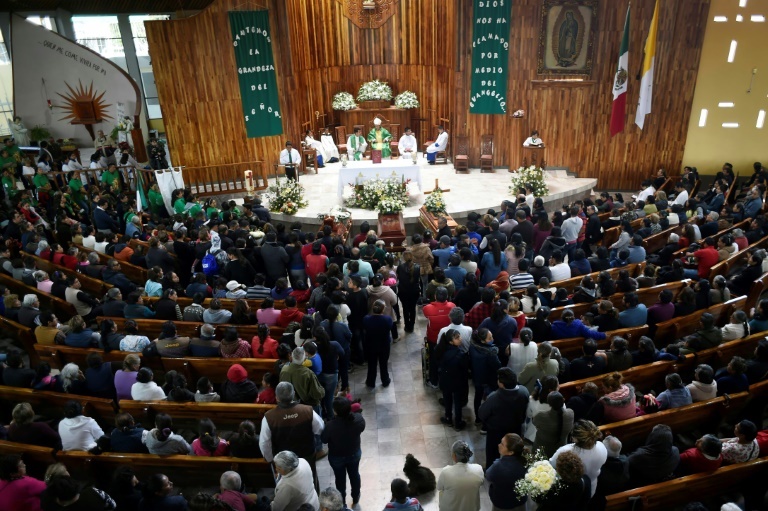 Health Minister Jorge Alcocer said 66 people were hospitalised in Hidalgo, and others in worse conditions had been moved to Mexico City for specialised treatment. "There are patients in serious condition with burns of more than 80 per cent (of their bodies)," he said, adding that their prognosis was "reserved." Alcocer said the remains of six more bodies had been recovered before the search ended late Saturday, raising the death toll to 79. Family members of the victims have called on the government to continue the search for remains and to bring back forensic experts for that purpose. Mourners began arriving little by little at the home of one of the victims, while in the adjacent street a hearse carried another victim. Relatives of three of the 79 people killed in a massive blaze triggered by a leaky pipeline in Tlahuelilpan, attend their funeral in Teltipan de Juarez community, Hidalgo state, Mexico. Asked whether those hospitalised would be considered suspects, Attorney General Alejandro Gertz said investigators do not seek to "victimize the communities." 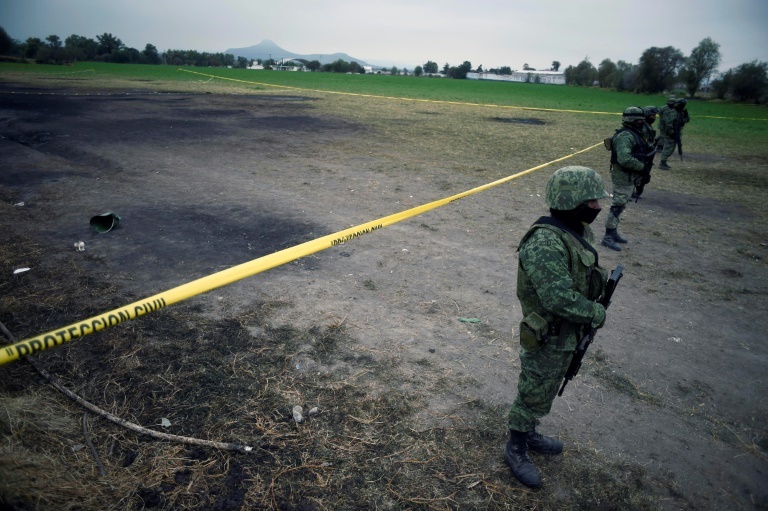 The disaster came during a crackdown by the new government of President Manuel Lopez Obrador on fuel thefts, which triggered shortages of gasoline. Lopez Obrador, a leftist who took office only weeks ago, travelled to the scene early Saturday.